These students are content creators, coders, designers, writers – with intuitive minds, intrapreneurial spirits, and an intellectual vitality; and they’re gaining knowledge and experience that most don’t acquire until they’re settled into their adulthood career. To fund innovative programs to create educational opportunities for all families, empower teachers to create enriching educational experiences and strengthen the community by preparing today’s children for tomorrow’s challenges. We got to work right away on the Intern Ready Pilot Program. As a pilot, this program would be the first run to gauge the effectiveness of a program such as this one and a platform to change and edit the program for the future. Students that participated in Intern Ready dedicated every Saturday in the month of April to develop themselves both professionally and personally. Through this they gained an understanding of commonly used business terms and phrases, how to interact with coworkers and bosses, and discovered how to utilize these tools to become a standout intern in a place of business. These students grew with each other – not only learning how to rely on their peers, but also how to be relied on as a team member. They broke up into groups and ran through several different real-life scenarios (based on the interests and goals of the group) – giving them the ability to use each other as assets to think through solutions. They even went as far as evaluating each other’s “thick-skin rating,” a term coined by us; essentially a description for the emotional and mental toughness of one in business. This rating exhibits how effectively a person will respond to constructive or even seemingly non-constrictive criticism given in the workplace. A low “thick-skin rating” conveys an undeveloped ability to separate emotion from productiveness. These challenging, thought-provoking exercises, lectures, and think-sessions brought together concepts and processes that most don’t even think about until they’re faced with the actual situation. All of this and more lead up to the grand finale: Intern Ready Graduation! But before all of the cake and festivities, students had the opportunity to sit down and interview with a select few local area businesses based on their career interest. In this “speed-dating style” career fair, students swapped places to meet with employers and were able to put everything they’ve learned to good use. And after graduation, several Intern Ready participants were able to land a local internship! The Intern Ready Pilot Program couldn’t have been possible without these driven, passionate students, our incredible local businesses, and assistance from the Flagler Education Foundation. 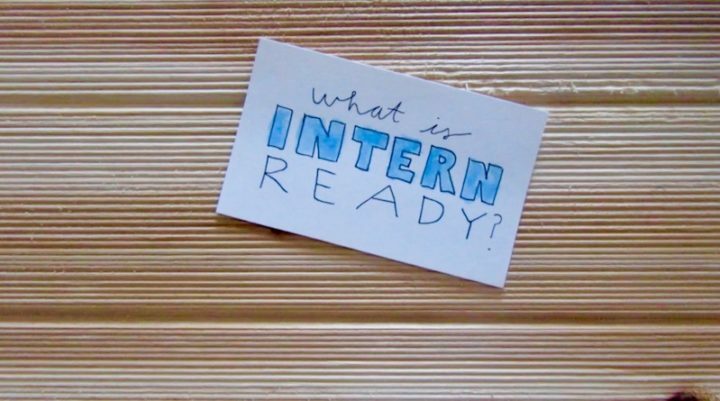 Plans are being made to make next year’s Intern Ready program bigger and better! ← 6 + 4 doesn’t equal 4, but how do you make it right?